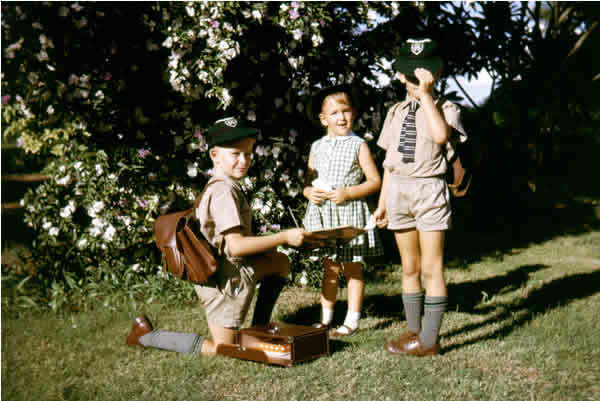 Ken, Beryl and David Eglinton in school uniform. 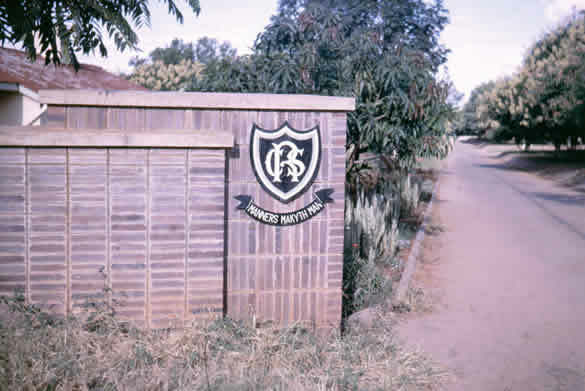 The main gate. 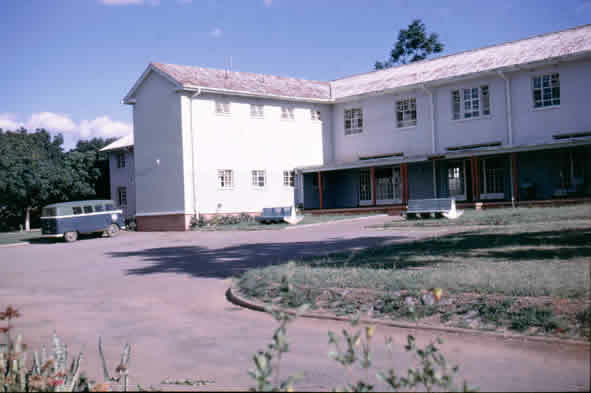 I recall the ruling that if any car passed through with a parent in it during school hours, we boys were to slightly lift our caps to the parent driving, part of the manners makyth thing! A shot of the pool and school, unfortunately it was a shot squeezed off the end of the roll. I can recall being there the afternoon the hole was blasted for the pool. 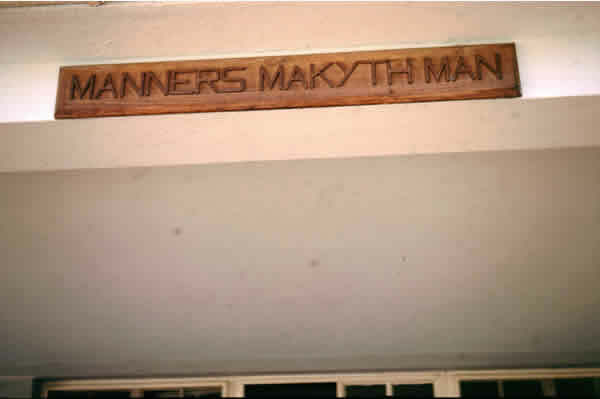 The school motto above the front entrance to the hostel. 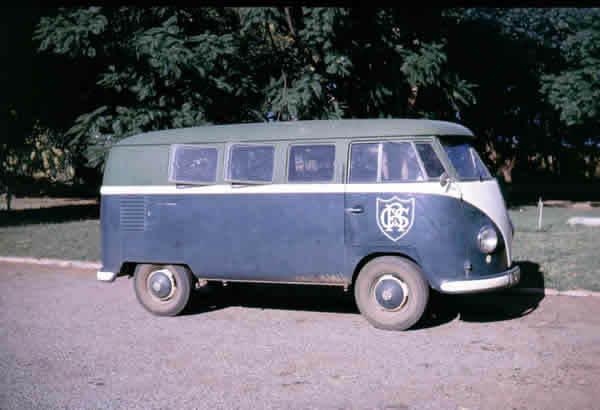 The school bus in which I made a couple of trips with the cricket team to play in Lusaka.